My husband is a genius! All on his own he installed the first section of glass pool fencing! Its apparently not very hard and the big bad fencing companies should watch out with their ridiculous prices because .... Anyone can do it! Also note the lovely dark granite paving we had to install as the posts are core drilled through them and the rather large footing below. To the left of the pillar there is going to be a gate, which currently being made but we are half way there and boy is it exciting! Progress has never looked sweeter! Our man was so slooooow. Good job, Mr V! In the race to get our pool finished, we chickened out and just installed regular pool fencing. We're considering replacing it next year, and you may have just given me the confidence to push the issue!! Ha - I think I need to touch wood - its not quite finished yet, we are waiting on the gate to be fabricated. I could be joining all of you in complaints on speed! 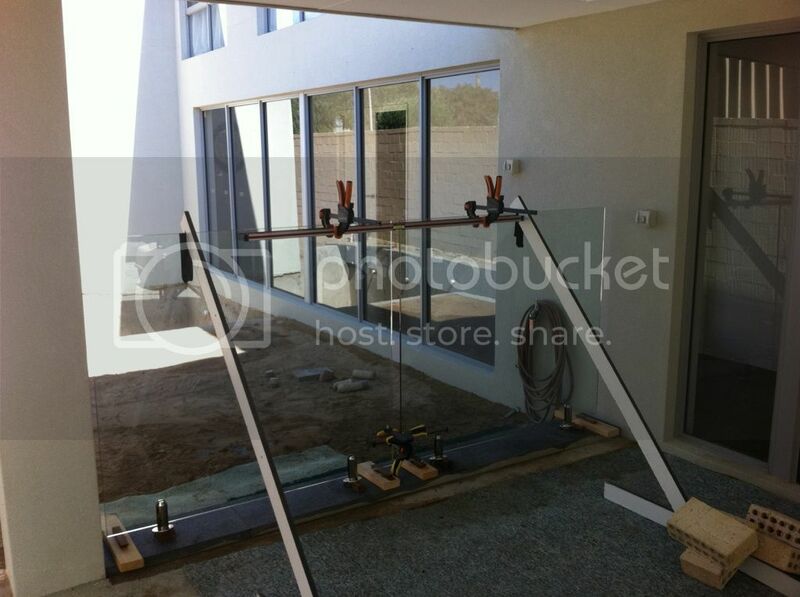 You are sharing the best information about glass pool fence.I like it. Thank you Simon - we will endeavour to show you more in the new year!